Previous experience required: 5 days aboard, 100 miles logged and 4 night hours + a knowledge of basic navigation and boat handling ability. Navigation, pilotage, boat handling, seamanship and skippering techniques. The Day Skipper Practical Course is designed to teach you to "take charge" safely and confidently. A skipper does much more than navigate. 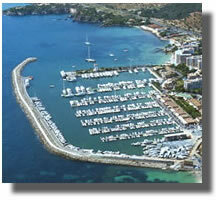 They are responsible for the complete safety and well being of the yacht and crew. These responsibilities include weather forecasting, victualing, engine maintenance, passage planning, watch keeping navigation and pilotage. 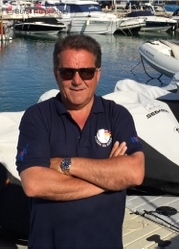 Your experienced and patient instructor will teach you these skills and you will put them into practice as you skipper the yacht on short passages around the Balearics. There is particular emphasis on boat handling for Day Skippers and suring the five days you will practice mooring under various conditions. You will compete at least 4 night hours to experience night pilotage and identify lights. At the end of the course you will be confident to skipper a motor cruiser on short passages by day.